I have a confession to make, I know this will make me sound like a total blonde but I want to be sure you all know I’m human and that I don’t know everything about cooking. I am still learning every day. So here I go… until I got my first acorn squash in my organic produce box a few weeks back I thought they were a decorative item. Seriously. Okay, go ahead and laugh now. I remember seeing them in the grocery stores with all the gourds and pumpkins every fall but I was oblivious to the fact that people actually ate them. I am so glad I discovered that these were in fact edible because they are delicious and I now love cooking with them. 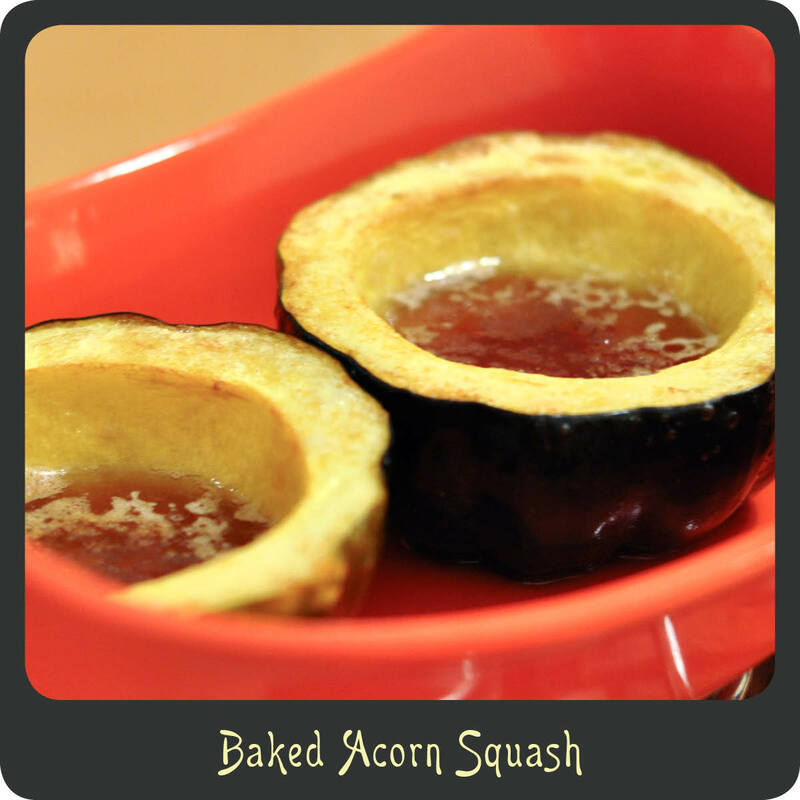 I am sharing a recipe for a classic oven baked acorn squash. This is a really sweet treat and a fun way to enjoy the veggie. These squash remind me of my favorite Thanksgiving side dish, sweet potatoes with brown sugar and pecans. Yum! Depending on how many people I have over for turkey day this year I may just even make these instead. Why not mix it up and break out of tradition? Carefully cut acorn squash in half and using a spoon clean out the seeds and stringy pulp. Coat the inside of each squash half with the softened butter and sprinkle with salt. Add 1 tablespoon of the brown sugar to the cavity of each half. Drizzle a teaspoon of maple sugar over each half. Place the prepared acorn squash in the water cut side up. Bake squash for 1 hour or until they are soft and easily pierced with a fork. Ooooo. Maple syrup. Hadn’t thought about using that before. Sounds yummy!